Insurance companies were founded with the purpose of protecting peoples’ assets and providing them with benefits in the event of unforeseen losses. This industry is notorious for failing to live up to its responsibilities, however, as insurance companies employ questionable and illegal tactics to avoid meeting their end of the agreement when it is time for them to pay claims. Obtaining legal representation will let your insurance company know that you are serious and cannot be taken advantage of. 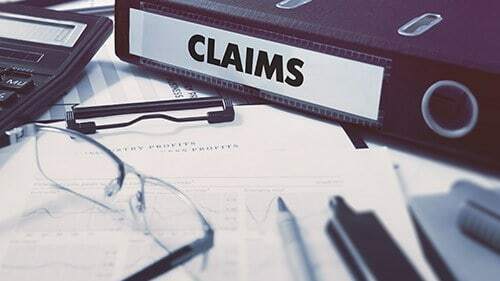 The Chicago insurance claim attorneys of Rosenfeld Injury Lawyers LLC have extensive experience dealing with insurance companies and can help you settle your claim in a quick and efficient manner. The two primary tactics that insurance companies use to avoid paying claims are known as deny and delay. For example, if you require a medical procedure to address an illness or injury, your health insurance company may claim that the procedure is not needed and refuse to pay for it. If the insurance company knows that it cannot get away with denying that the claim is justified, insurance adjusters may string policyholders along and continue to aggravate them by putting up roadblocks to delay payment. If your insurance company is implementing either of these tactics, you may need to seek legal representation to move the process along to a conclusion which is in your favor. One of the mistakes that many people make when an insurance adjuster is denying that the claim is covered or delaying the process is to accept a settlement that is not in their best interests. The insurance company may require people to give up certain legal rights as part of the settlement offer and may also be fishing for information that can be used for its legal defense should the matter make it to court. If you choose to communicate with an insurance company yourself, it is important for you to know that every conversation will be recorded so that the insurance company can look for errors in your recollection of events or other information that can be used against you. It is well within your rights to refer your insurance adjuster to your legal counsel. Some insurance companies will threaten you at the mere mention of an attorney and make the erroneous claim that the deal being offered will not be available if you seek the advice of an attorney. The truth of the matter is that insurance companies know that an attorney is aware of both the laws that apply to your claim and the legal responsibilities that the insurance company bears. Having an attorney puts you in a stronger position when negotiating with insurance adjuster, which is exactly why they want to deter you from retaining one. Another thing to consider is that insurance companies spend massive amounts of money maintaining their own legal teams, which are on call and available to represent their interests. They will jump at any opportunity when their legal teams feel they have the grounds to challenge a claim or deny payment. Even if you believe that the insurance company is being cooperative and working with you, the insurance company’s legal team is already assessing the strengths and weaknesses of your claim. If your insurance company has decided to play games, their tactics may be questioned under the Illinois Insurance Act, and if a court determines that the company’s methods were illegal or your insurance adjuster wrongfully denied your claim, you may be able to collect punitive damages in addition to the full value of your claim. This is yet one more reason you should retain the services of an experienced and qualified lawyer. Rosenfeld Injury Lawyers LLC is a leading provider of award winning legal services to clients throughout the Chicago area. Our extensive knowledge of insurance laws and many years of success make us the choice for thousands of clients who want to maximize the value of their claims. If you have been in an accident or experienced a loss that should be covered by your insurance policy and your insurance company is giving you the run around, contact us to arrange a risk free consultation so that we can review your legal options. Our Chicago insurance claims attorneys work solely on a contingency fee basis so that you don’t ever need to worry about whether you can afford the services of a top quality attorney. We guarantee never to require you to pay us an upfront fee and promise that our services are absolutely free of charge if we are unable to collect the compensation you are entitled to on your behalf.